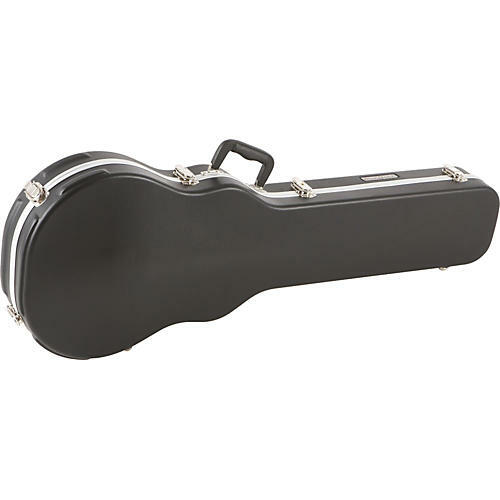 This molded guitar case from Road Runner is a perfect fit for a carved-top single cutaway guitar. Its riveted latch closures are designed to take years of abuse and rugged feet provide various standup options. Inside, your instrument will lay in a lap of non-scratch, plush-lined luxury. There are oversized compartments for your accessories and the outside handle is offset for a more balanced transport. The soft, plush interior protects your guitar from scratches and nicks, plus Road Runner uses a special, eco-friendly, dye-free material, which eliminates the release of polluting bi-products into the environment.